Few animals catch the eye quite as much as the flamingo does. With their bright pink (or orange) feathers, they can easily be seen from a mile away, but have you ever wondered why they look this way? Unlike most animals, flamingos are not born the color that they grow up to be, and there’s a very good reason for it. Let’s take a look at why. When flamingos hatch out of the egg, their feathers are various shades of gray. Not what you were expecting to hear? It can take several years before they take on the pink hue that we most often associate with this family of birds. Until then, their feathers are pretty bland (though the birds themselves are still cute). The change in color is ignited by the flamingo’s diet, which generally consists of algae and crustaceans. The more of it they eat, the more their gray feathers brighten up, but why? Well, these food sources have natural chemicals in them, and when they’re consumed, they get broken down into a red-orange pigment. This is stored in a flamingos body as fat, which is used to help them develop and grow more feathers. As this happens, the pigment turns the feathers pink. The change isn’t permanent, after all, feathers are easily lost on a daily basis. If the birds stop eating the food that contains these pigments, their color will fade. If you ever see a fully-grown flamingo that’s white or gray, that’s the reason why. Finding two flamingos that are the exact same shade of pink can actually be a bit of a task, because their coloring isn’t innate. Variations in the availability of food and the amount consumed are hugely impactful on how striking or subdued a flamingo’s feathers will be. Over in the Caribbean, flamingos feed on algae more than anything else, and therefore their feathers are more striking shades of pink, red or orange. Meanwhile, those in drier parts of the world – such as Africa – are much paler in color, because this source of food is less readily available. Flamingos that are kept in zoos are given a specially-designed diet that includes crustaceans and additives. These chemicals provide a replacement for the natural ones they would normally find in their food outside of captivity to prevent their color from fading. After all, zoos want their flamingos to remain bright and eye-catching for all the visitors that pay money to see them. 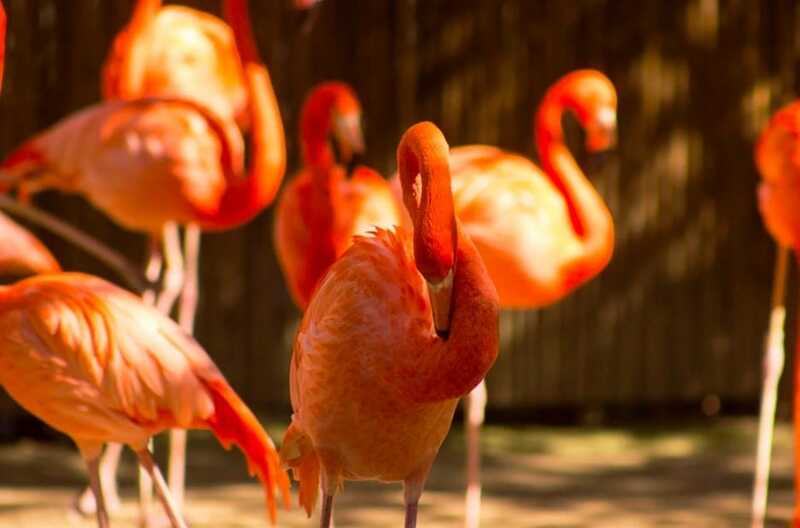 Beta-carotene, which is one of the additives used in a captive flamingo’s diet, is also found in certain foods that humans eat too. Carrots, for instance, have traces of this chemical inside them, although they’re not as effective at turning us orange the way a good spray tan is. This is because the amount of carrots it would take for our skin color to change is a lot more than we would dream of eating on a regular basis. 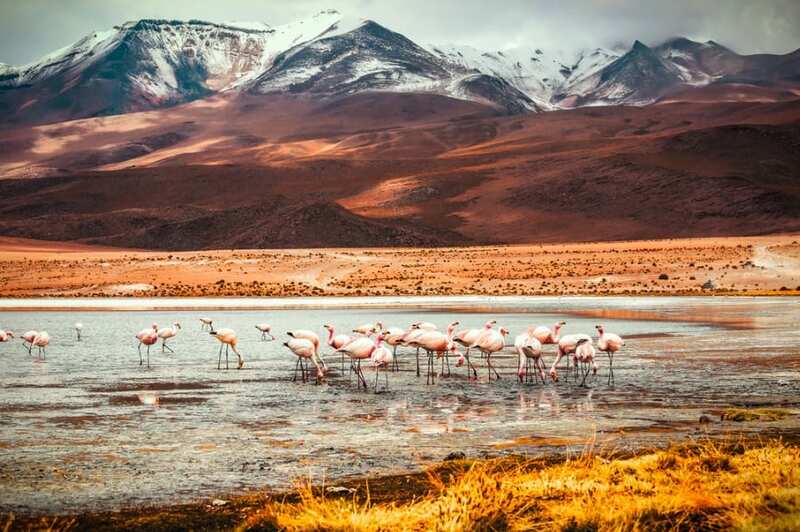 So there are some facts about flamingos that you might not have known. If you’ve only ever seen them in the zoo, it’s understandable why you might not have realized that their color isn’t something that comes naturally. Now you know the truth, it might be worth going to see what these gorgeous creatures look like in some of their more natural habitats.